The Divisional Crime Officer, Ilaro Police Command, Ogun State, SP. 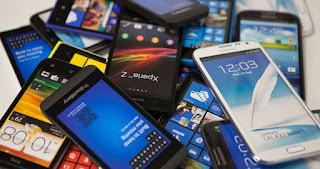 Oni Waheed, has advised the public to desist from buying phones from strangers, in order not to get into trouble. He gave the advice yesterday in an interview with the News Agency of Nigeria (NAN) in Ota, Ogun State. Waheed said instead, people should buy their phones from well-known outlets to prevent them from getting into police net. “It is easy to trace phones bought from an outlet when crime is being committed by criminals than the one purchased from a stranger,” he said. Waheed noted that hoodlums sometimes robbed people of their valuables such as phones, laptops and money and sold them to innocent people. According to him, most of the criminals who indulge in the act usually sell the stolen goods to innocent people, on the pretext that they need money urgently to attend to some needs. “We have seen many victims of such problem and there is no evidence to prove their innocence,” he said.